New Orleans Jazz and Heritage Festival has recently announced their huge roster of entertainment for 2019. This is the 50th anniversary of the festival and it is a big one. Jazz Fest centers on Louisiana’s finest local artists each year. Six hundred of the approximate 688 bands are local artists. The festival also has big name artists (BNA’s) to pump up attendance. The festival normally has 11 stages of performance going at the same time. This year an eighth day has been added to the typical seven days of entertainment. Quint Davis, the festival’s producer, and his collaborators work hard to include classic legendary artists and present-day popular entertainers. The blend is an attempt to please everyone. This year is no exception. The lineup presents a challenge to only pick five must-see acts for AXS to recommend. The addition of this band to the Jazz Fest roster was probably the worst kept secret in Jazz Fest history with rumors swirling around the Jazz Fest blog since October. Not all of the rumors on the site are true, but this one was. 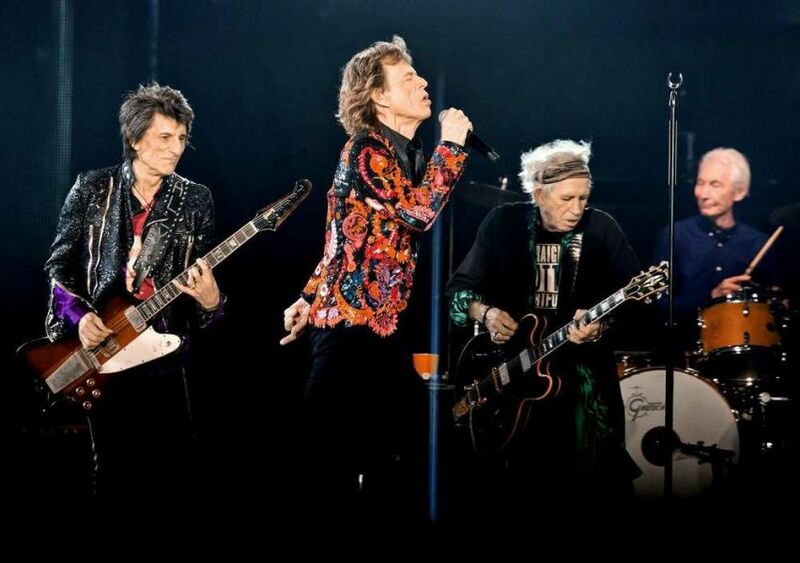 The Stones have not played New Orleans since the early nineties. According to the local New Orleans newspaper, Davis had been ‘courting’ the band for years traveling on the road with the Stones attending rehearsals and getting acquainted with key members of their camp. It also helped to have AEG on board with Jazz Fest. The Rolling Stones is considered the world’s greatest classic rock ‘n’ roll band that is still performing. The Rolling Stones gained popularity in the height of the ‘British Invasion’ in 1962. The band can handpick where in the world it wants to perform and it can command a seven-figure payment. Ultimately, none of that is important unless the Stones can deliver the goods. The band is rooted in blues and early rock. Mick Jagger and the band are still able to deliver a ferocious, intense, nasty and thrilling live show not to be missed. The 72-year old Irish singer-songwriter is usually clad in dark glasses, a suit, and fedora these days. Morrison is known for his improvisational delivery of songs that reach the heart of every human being. His sets are filled with blues and jazz tones that dominate his hits from the past as well as more obscure songs that only his faithful fans would be familiar. Morrison leads his six-piece band by playing alto-sax, but he also gives the rest of the band opportunities to play solo. Morrison and his band are polished performers that grind out songs about love, desire and many other urges of the human condition. One cannot mention Diana Ross without discussing Chaka Khan and Gladys Knight. All three performers will be at the 50th anniversary of New Orleans Jazz Festival and each performer still casts a magic spell on her fans. Many fans were thrilled to hear that Diana Ross was added to the lineup after Bob Seeger had to drop out. Ross started in show business as the lead singer to the best charting girl group in U.S. history, The Supremes. She became one of the most successful solo singers when she left the group. Ross has had a career total of 70 hit single records when her work with The Supremes is added to her solo career. Gladys Knight is known as the “Empress of Soul.” She is a seven-time Grammy Award winner since she started out with her group, Gladys Knight and the Pips in the 1960s. Knight’s classic hit songs include “Midnight Train From Georgia,” “Neither One of Us,” “Friendship Train,” “That’s What Friends Are For,” and “If I Were Your Woman” to name a few. Chaka Khan is another singer-songwriter whose career has spanned five decades. Khan started as the lead singer for the band, Rufus. She was the first artist to have a hit crossover from R&B to rap with the song “I Feel For You.” Khan’s live shows still thrill the fans with her timeless vocals. Katy Perry’s appearance on the lineup, unlike the Rolling Stones, was a well-kept secret. She is not normally a festival performer. She has a huge production with lights and choreography. For her to perform on a stripped down stage will be totally different for her. One must keep in mind Perry’s super bowl performance in 2016 to grasp the normal glitz of Perry’s shows. It will be interesting to see how she pulls it off. Leon Bridges is known for his retro style of soul music The native Texan’s breakthrough came with his hit single and album of the same name, Coming Home in 2015. His sophomore album, Good Thing, was released in 2018 and steps up his retro style another ten years. The new album is more upbeat and funky. His stage show is all about the music and his performance is constantly in motion. His shows are touted as being intoxicating. Lauren Daigle is a top new Christian singer/songwriter who has a voice that rivals Adele. She has released two albums, How Can It Be and Look Up Child that have garnered the Louisiana native four number one singles on the Christian charts, two Billboard Music Awards and two American Music Awards. It would be unfair to only mention one artist in this category. Many are familiar with Dr. John, Irma Thomas, and the Preservation Hall Jazz Band. Unfortunately, Dr. John will not be appearing this time at Jazz Fest. Many local artists like Trombone Shorty have seen their stars rising since Katrina or ‘the thing’ as many locals call it. The Neville Brothers will be performing with Trombone Shorty on the last day of Fest. Other local artists worthy of mention Anders Osborne, Voices of the Wetlands, Mia Borders, Shammar Allen, Tank and the Bangas, Big Freedia, The Revivalists, and Big Sam’s Funky Nation deliver excellent sets. The fact is that if this is your first Jazz Fest, you may get lost discovering new music as you mill through the multitude of stages. There are so many choices every year at the New Orleans Jazz and Heritage Festival. It is impossible to choose the best. Other artists worthy of mention are Dave Matthews Band, Buddy Guy, Jimmy Buffett, Gary Clark, Jr., Bonnie Raitt, Kamasi Washington, Chris Stapleton, Pitbull, Al Green, Earth, Wind & Fire, Jerry Lee Lewis, Mavis Staples, Ciara, and the list goes on. All of these artists deliver amazing sets. Unfortunately, it is impossible to see it all. Good luck trying for it is an unending feast for eight days. Click here for lineup, schedules, and tickets.